By now, we’ve discovered a fair amount about Paul Feig’s Ghostbusters reboot. 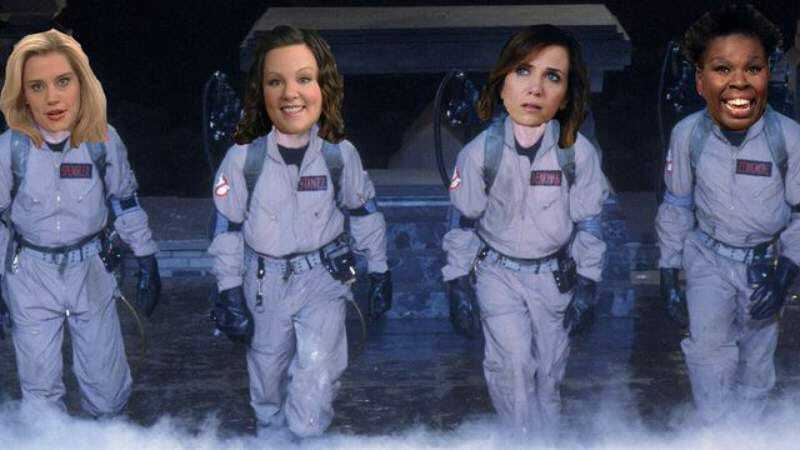 We know the Ghostbusters will be an all-female team comprised of Melissa McCarthy, Kristen Wiig, Kate McKinnon, and Leslie Jones, with Chris Hemsworth as the receptionist. We know that Feig wants the film to be “scarier than the original,” citing The Walking Dead as inspiration. We also know that McCarthy will yell and fall down a lot, because this is a Paul Feig movie. However, the actual plot of the film has remained a mystery, until the Boston Herald pulled a Walter Peck and totally exposed the project, revealing that it’s a lot like the original movie. Ghostbusters started shooting in Boston (which will stand in for New York City, just like in the original) this week, and some well-placed sources told the Herald that the story begins with Wigg’s character being laughed out of academia when it’s discovered that she and McCarthy wrote a book that posited the existence of ghosts years prior. After joining up with two other paranormal investigators (and presumably buying an old fire station), the ladies arm themselves with proton packs just in time to fight an invasion of ghosts in Manhattan. Also, apparently Slimer is back, but that shouldn’t surprise anyone. In fact, none of this should surprise anyone. No word yet on whether we can expect the Stay Puft Marshmallow Man, Gozer, Zuul, Rick Moranis, or terrible ’80s music. But the Herald’s sources did say the filmmakers are negotiating with Dan Aykroyd and Bill Murray about making cameos. After all, who else would tell the new team not to cross the streams?